Available in stores and online NOW! Also now available as an E-book! Blog.HoustonPress.com (3/18/11) – READ REVIEW! Ugo.com (3/22/11) – READ REVIEW! TheAquarian.com (3/30/11) – READ REVIEW! PiercingMetal.com (4/1/11) – READ REVIEW! NorthJersey.com (4/4/11) – READ REVIEW! Blabbermouth.com (4/8/11) – READ REVIEW! Star-Ledger.com (4/8/11) – READ REVIEW! About.com (4/10/11) – READ REVIEW! Pop-Break.com (4/12/11) – READ REVIEW! USAToday.com (4/20/11) – READ REVIEW! ClassicRockRevisited.com (6/13/11) – READ REVIEW! 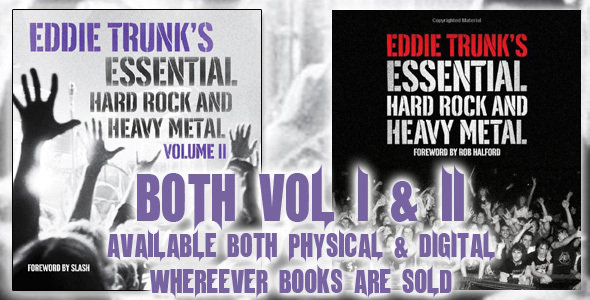 ORDER SIGNED COPIES OF EDDIE’S BOOK, Vol 2 ONLY! PLEASE NOTE ONLY VOLUME 2 IS AVAILABLE AT THIS TIME! Due to many requests I am now pleased to offer personalized signed copies of my second book for purchase through the mail. 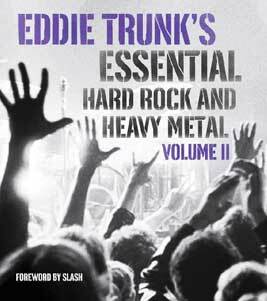 Of course “Eddie Trunk’s Essential Hard Rock & Heavy Metal” Volumes 2 is available anywhere books are sold. BOOKS CAN ONLY BE SHIPPED TO ADDRESSES IN THE UNITED STATES! PLEASE NO INTERNATIONAL ORDERS AT THIS TIME! US ORDERS ONLY! PLEASE SPECIFY VOLUME 1 or VOLUME 2. PLEASE ALLOW 2-3 WEEKS FOR DELIVERY ALTHOUGH IN MOST CASES IT SHOULD NOT TAKE THAT LONG. 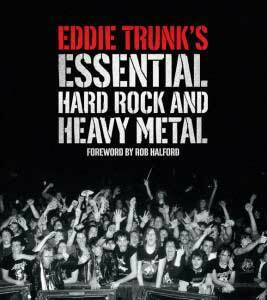 PAYMENTS SHOULD BE MADE TO: EDDIE TRUNK. PLEASE ALSO INCLUDE THE NAME/NAMES YOU WOULD LIKE THE BOOK SIGNED TO AS WELL AS ANY OTHER BRIEF PERSONALIZATION AND CLEARLY INCLUDE YOUR RETURN SHIPPING ADDRESS. AGAIN, BOOKS ONLY SHIPPED AND SOLD TO ADDRESSES IN THE USA! I HOPE TO BE ABLE TO ACCOMMODATE INTERNATIONAL ORDERS AT A LATER DATE.